Will Cubans residing abroad be able to vote in the constitutional referendum? 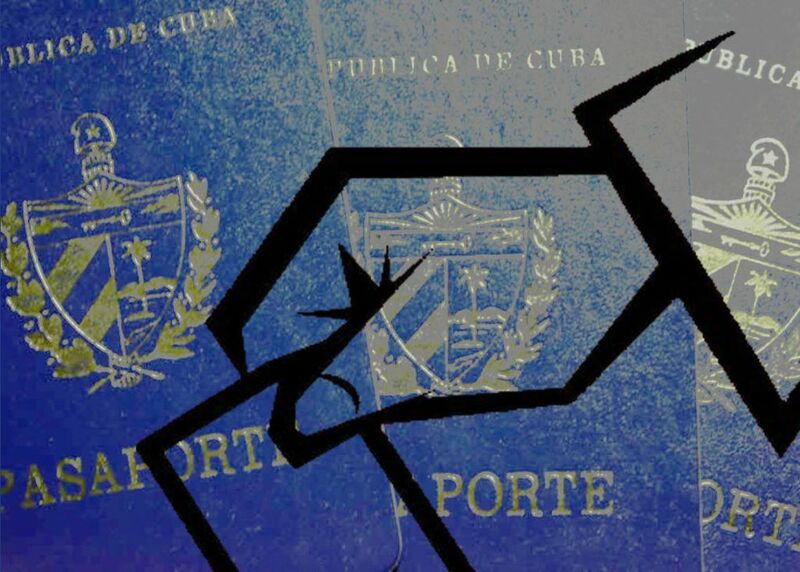 Those who conserve Cuban citizenship and enter the country at some time during the 24 months subsequent to their last exit from the country continue being legal residents in Cuba. I partly agree with that opinion. The Electoral Law (1992) indeed restricts the rights of citizenship to the effective residence in the country. This Law regulates that the domicile in Cuba is the authorizing condition to exercise political rights. Thus, those who conserve Cuban citizenship and enter the country at some time during the 24 months subsequent to their exit from the country, continue being legal residents in Cuba, no matter if they reside in another country, or even if they have acquired another citizenship. In his statement, Ernesto Soberón referred to the elections, be they general or partial. However, the Electoral Law contains a specific section for the referendum. The director of the DACRE did not refer to that section. A Cuban citizen, also a legal resident in Cuba (for not having exceeded the 24 months of continued stay outside the country), who has not been legally deprived, and with the due process, of his voting rights, could demand “guaranteeing the exercise of the vote by the voters who are outside national territory on the day in which the referendum is held”? Under the legislation in force, the public hasn’t been informed (that I know of) about cases like the following: that a Cuban citizen residing in another country, but who is also a resident in Cuba, being in the country has been prevented from voting in the elections for municipal or provincial delegates, or for deputies to the National Assembly, after having been demanded notification about residing in the country, permanently, for a period of no less than two (2) years. Then I summarize what I have said before asking the last two questions. 1. I’m referring to Cuban residents who the DL 302 authorizes to have legal residence in the country. 2. I’m commenting on the referendum to which the Draft of the New Constitution is currently undergoing popular debate, and to whose consultation the Cuban residents abroad have been invited. 4. I affirm I don’t know (and I will humbly be grateful for documented information on the contrary) of any regulation in force that establishes the required documentation to prove the uninterrupted residence for two years as an indispensable requisite to be able to vote. I recognize that I don’t know who issues said documentation, who demands it, where to ask, and to whom the demand is made in case of problems related to this information. 5. I am saying, that I know of, that that type of documentation hasn’t been demanded since 2012 (the year in which the DL No. 302 was enacted). I. According to the legislation in force in Cuba until now: can all those who are citizens and meet the requisites of the DL 302 for legal residents in Cuba vote in the referendum, in Cuban embassies and consulates abroad? II. To the contrary (according to what Ernesto Soberón affirmed), and always referring to citizens with legal residence in Cuba: which state authority certifies, and through which type of documentation, the impossibility of voting for not meeting the requisite of the two years of uninterrupted residence in Cuba, even when the demands of the DL 302 to be a legal resident in Cuba are complied with? ¿Cómo contribuir a la Constitución cubana desde el exterior? Profesor e investigador. Ha escrito varios libros y un número largo de ensayos y artículos. Hubiera querido ser trompetista, pero la vida es como es. Siente la misma pasión por el cine, la historia, la música y la cultura popular. Descree, en profundidad, de quien no sepa cocinar. Investiga temas de política, historia y derecho, pues cada cual se divierte como puede.